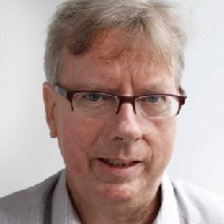 Martin Howell (photo), Top News editor, Asia, will be moving to New Delhi to become South Asia bureau chief for what is expected to be “a limited-term assignment” that will start in September, Reuters Asia regional editor Kevin Krolicki announced. Philip McClellan has been named top news editor for Asia, based in Singapore. He joined Reuters as editor and newsroom leader last year, having previously been an editor at The New York Times, the International Herald Tribune and the San Jose Mercury News. Sanjeev Miglani, “a news leader with deep experience in economic and financial reporting and editing and a record of covering conflict, elections and the politics of economic reform” becomes Delhi bureau chief. Tom Lasseter has moved from Delhi to take up a new role as Singapore-based special correspondent, reporting to Southeast Asia bureau chief John Chalmers.